Conveyors are involved in about 50 deaths in the U.S. every year. When used properly, conveyors can reduce workloads, make production more efficient, and prevent injuries that result from carrying materials manually. This course will discuss the most common types of conveyors and their hazards, the types of guarding around conveyors, general conveyor safety, and what to do during and after an emergency. 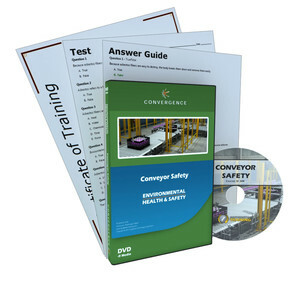 Taking this course and understanding the hazards conveyors present will help keep you and your co-workers safe.